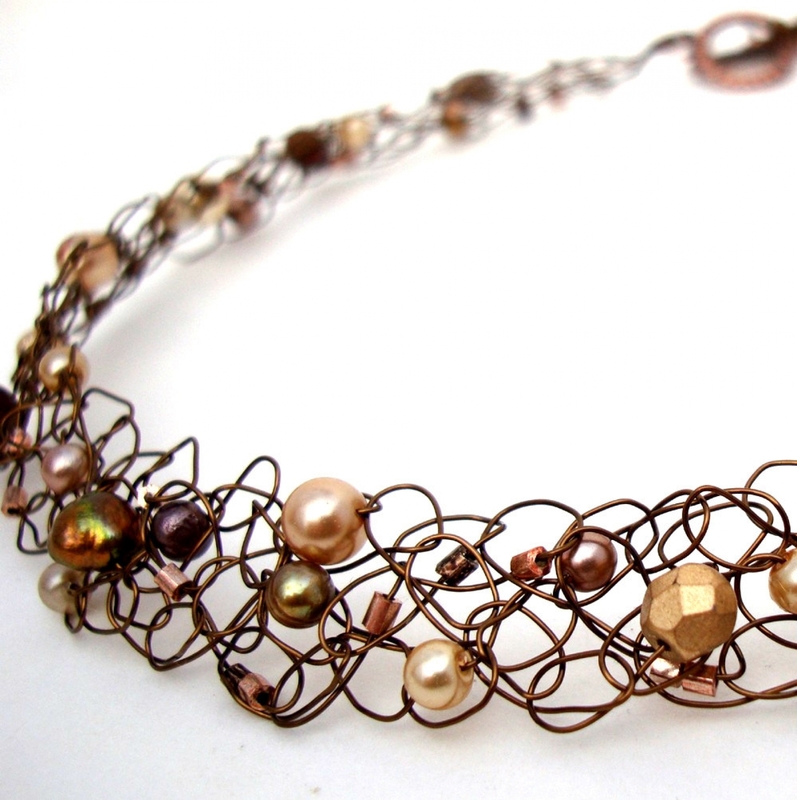 Wire Knit Necklace, Gorgeous bronze copper tangled wire knit collar. Unique metallic statement jewelry. 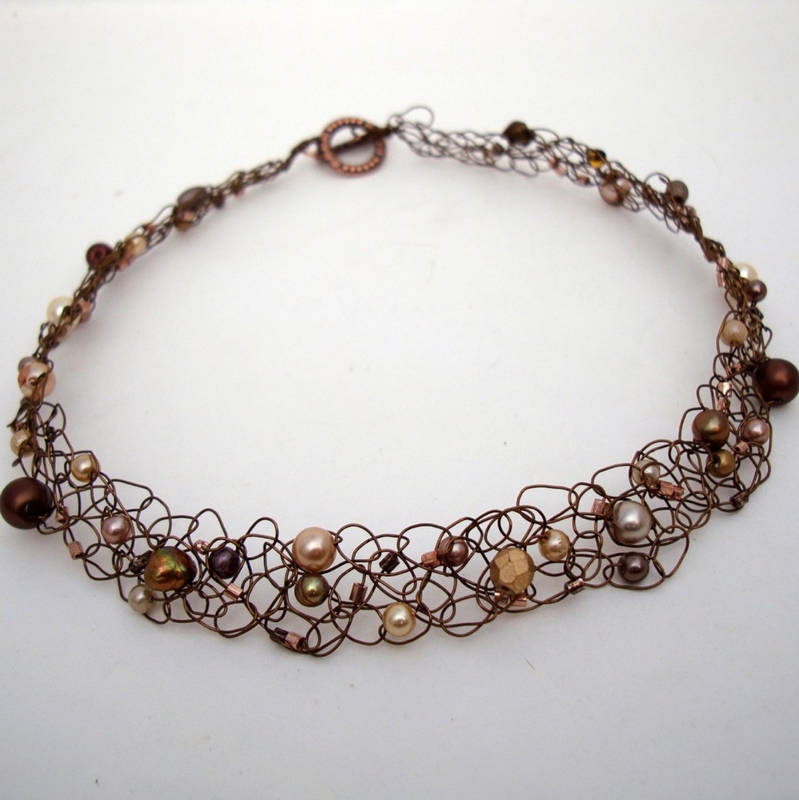 Hand knit necklace featuring freshwater pearls and crystals on antiqued bronze wire. Hand knit wearable art by lapisbeach. 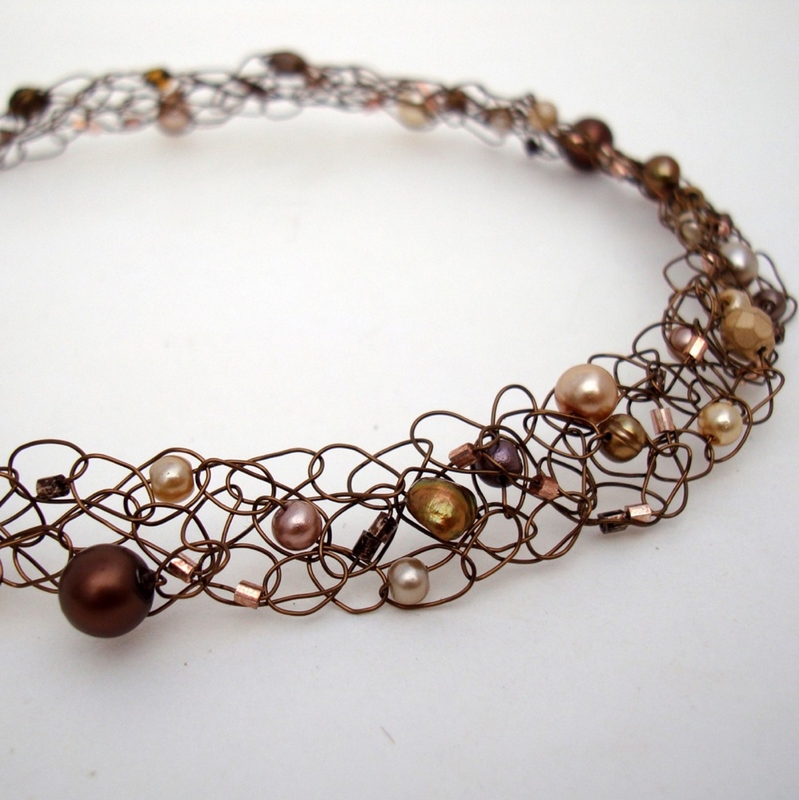 Freshwater pearls in gold, chocolate, ivory and taupe are scattered throughout; along with czech crystal ab and copper beads. Beautiful wearable art for a night out or casual chic in blue jeans. It measures btwn 16"-18" and I have added an extender chain to truly make these necklaces even more versatile. This tangled knit wire can be "smooshed" to make it shorter and pulled to make it longer.